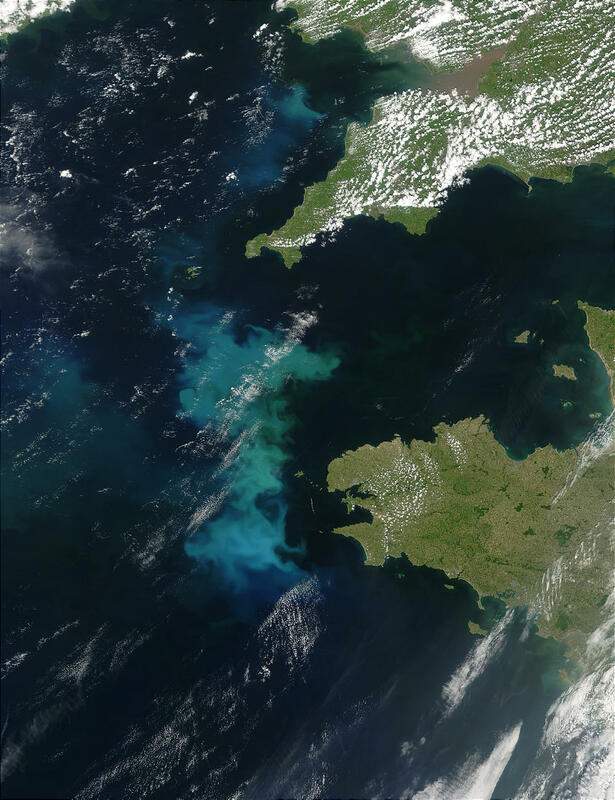 Phytoplankton Bloom off South West England. Acquired by MODIS on 12th June 2003. Data courtesy of NASA.